Beginning as early as his February 2012 pastoral letter, Forward in Hope to Share Christ (AoD pdf), Detroit’s Archbishop Allen Vigneron announced his intention to eventually convoke an archdiocesan synod on the application of the Catholic Church’s New Evangelization in our region. From Ash Wednesday 2014 through Easter 2015, the Archdiocese undertook together a Year of Prayer for a New Pentecost (AoD resources page). Then, in his homily for the Vigil of Pentecost 2015 (text and audio), he convoked the synod and announced that it would be held in Fall 2016. Thereafter the Archdiocese undertook more than a year of preparation including gatherings for Eucharist Adoration, other prayer activities, and broadly available discussion sessions – all of which are more fully described on the Synod 16 page. According to the requirements of Canon Law, synod members were appointed from all area of life within our local church. 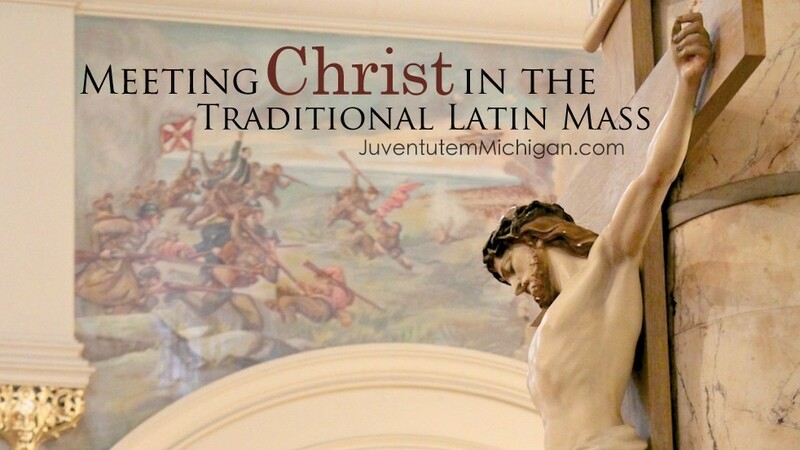 Out of ~340 synod members ultimately selected, two were young adult board members of Juventutem Michigan, four were members or supporters, and four were priests or bishops who have celebrated Traditional Latin Masses for our members. The Synod was conducted in Detroit from 18-20 November 2016. This last week, on the Vigil of Pentecost, Archbishop Vigneron released the letter: Unleash the Gospel. Among other sources, it can be read in the pdf available here. We encourage each member of the faithful of the Archdiocese of Detroit to read the Archbishop’s letter and to beg the Holy Spirit for opportunities to undertake both the Old Evangelization and the New Evangelization in sharing Jesus Christ with other human beings for whom Christ died. Together with the Archbishop, we recommend seeking the intercession of Ste. Anne (Patroness of the Archdiocese) and (soon-to-be) Blessed Solanus Casey as you act upon the missionary opportunities afforded to you in your daily life.